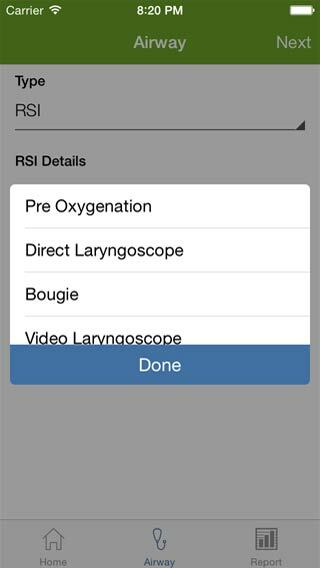 Designed by a team of health professionals, the apps response to your clinical selections is flawless, enabling you to quickly document a clinical skills set. 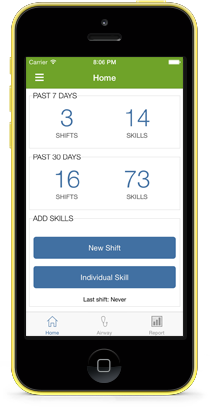 The app is designed to be intelegent allowing you to input specific skills that the app will retain. These will then be added to the skills set allowing a personalised feel. 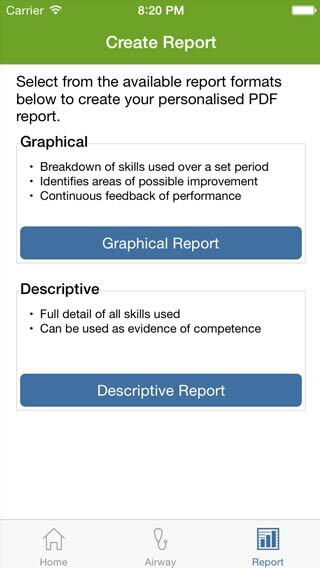 The app will allow you to create two types of reports from your skills log. The first is an analytical infograph, the second a more numerical report.. Great for demonstrating competence. The app has been designed to be simple yet intuative. The interactive menus are easy to follow and react seemlessley to your selected skills with a simple touch. 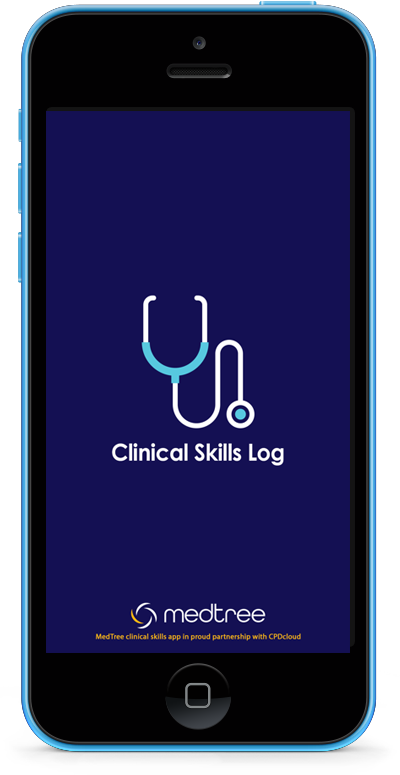 Using the skills app is simple, but we have a support network of professionals who have created a simple yet informative guides to documenting clinical skills. As you develop a relationship with the app, the app will make analytical suggestions for learning and development. Future updates include clinical skill videos and integrated resources that will make learning accessible. 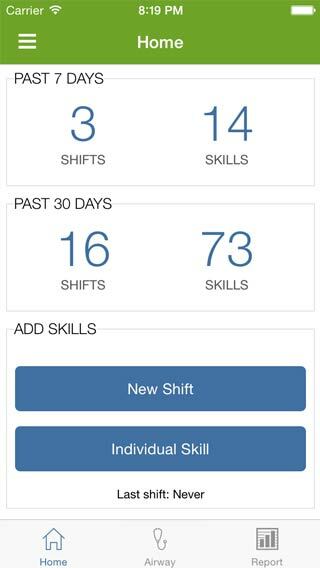 Easily customise your clinical skills app and update your clinical skills via your own personal dashboard. Click here to access your dashboard today. 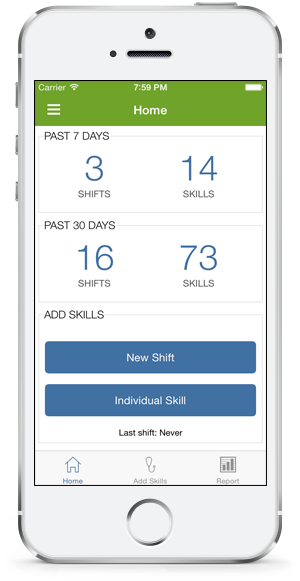 The simple design of the app means that you should be able to document a set of skills in around 60 seconds using the simple flowing menus. Clinical skill selections can be activated or hidden in the settings allowing you to create a personalised app, designed just for you as you develop, through your career. Innovative solutions and simple research allows us to analyse your skill set and release updates that will feel specific to your clinical needs. 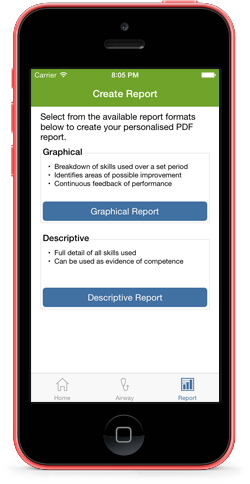 The NEW Clinical Skills APP will allow you to accurately record your skills and clinical interventions in a simple, customisable and intuative mobile app. The research and technology behind the app are designed to monitor and support the clinician and allow access to clinical cases and learning opportunities to encourage professional practice. Easily note airway interventions, wound management or drug administrations with our easy flowing menus. 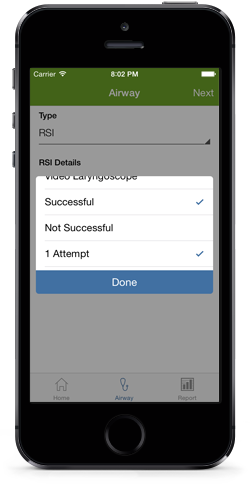 The settings will also allow you to activate new features and skills as we integrate them and also allow you to customise your skills to your own clinical scope of practice. 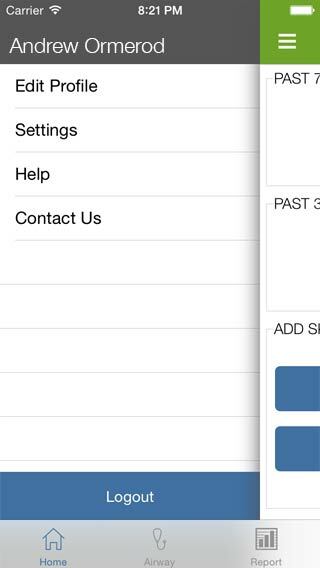 This gives you the ability to customise the features of the app making it feel that its designed just for you. The notification area of the app is where we can post learning and development opportiunities and also the latest updates that are available. This will allow you to utilise opportunities and encourage you to take ownership of your development. 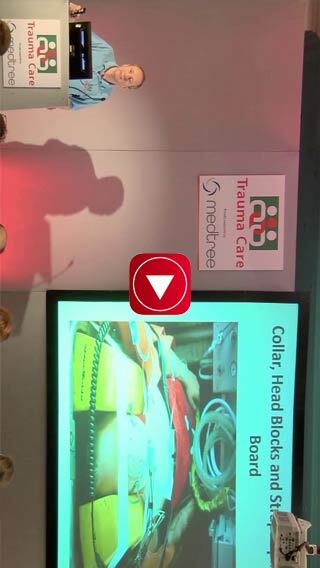 Let Stephanie explain just how the clinical skills app will work. Fill in your details below to pre-register for the app and we'll send you a link to download either the Android or iOS version of the app, from which you can log in straight away. © 2018 CPD Cloud Ltd. Proudly supported by MedTree and CPDme. Need help? Click here for our Knowledge Base / FAQ.